This is one of those recipes where you buy some commercial product and mess with it. 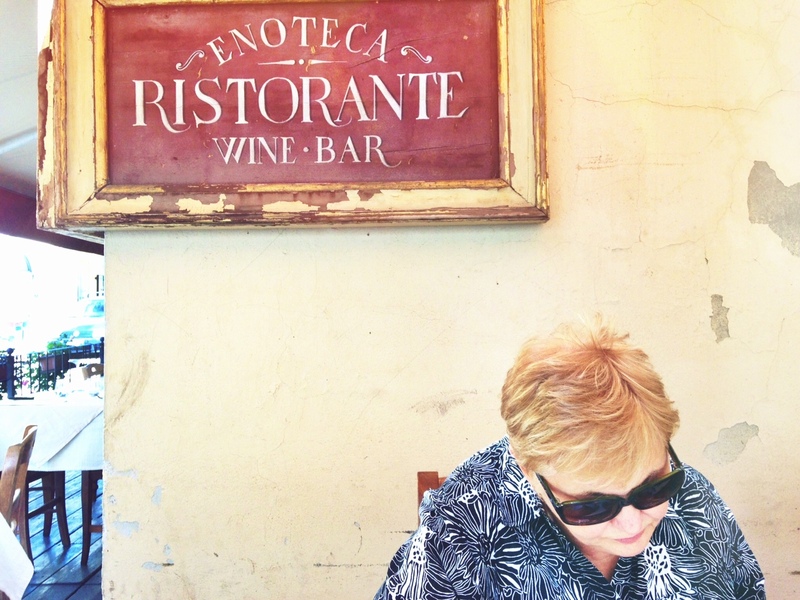 But that commercial product makes life so much easier…and simple. In this case, it’s refrigerated bread sticks. Here they’re jazzed up with spices and cheese and they take on some real personality. I won’t sugar-coat this for you. These bread sticks do not want to come out of their tube. At all. I was beating the tube on my granite counter wondering if I should put it down in my driveway and run over it with my SUV to get the dough out. Fortunately, I got them out before I had to do that. Spread them out on a baking sheet in one piece and brush with the olive oil. Sprinkle the dry ingredients on the sticks and, with your hand, gently pat them down on the dough. The bread sticks will look at you as if to say, “If you think you’re going to pull us apart, think again.” And in fact, it’s not that easy to do. Be firm but gentle. After separating the sticks, gently pull them in length and twist them up. 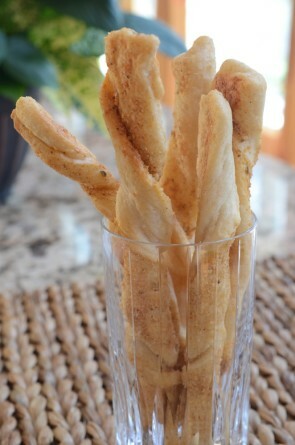 Another thing I won’t hold back on….the bread sticks don’t want to be twisted. They do everything they can to untwist themselves. So work quickly. You might have to pinch the ends a little bit to get them to cooperate. Pop them in the oven, bake according to directions and cool. Serve them with cocktails or with a main course. Works for me! Combine all 7 dry ingredients in a bowl and blend together. Place parchment paper or a silmat on a baking sheet. Lightly flour the surface. 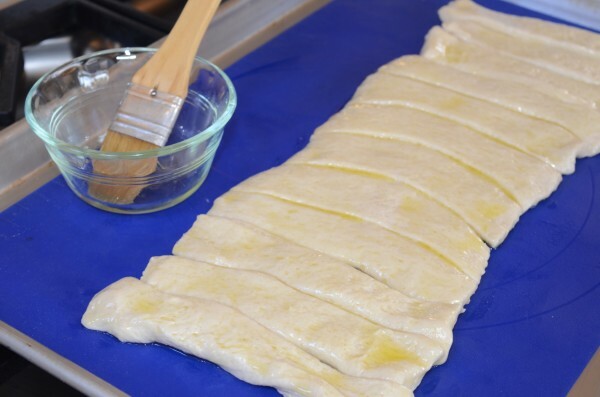 Open the bread stick tube, gently unroll dough and place it on the baking sheet. Do not yet separate the sticks. Brush the bread sticks with the olive oil. 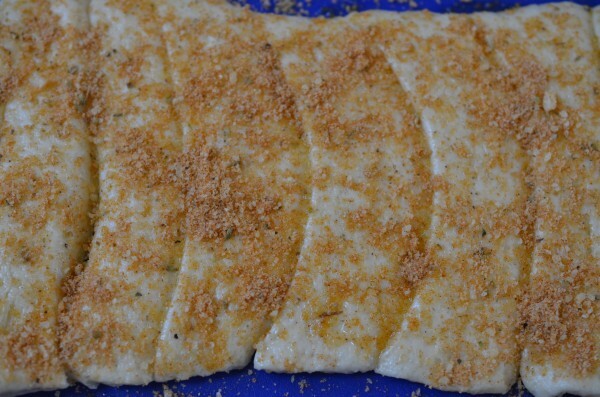 Sprinkle the dry ingredients evenly over the sticks and gently pat down the mixture onto the dough. 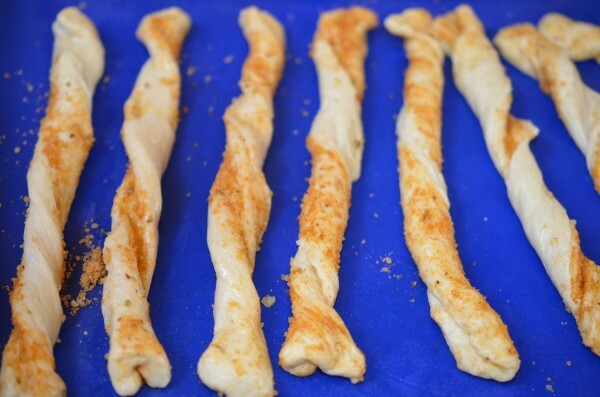 Separate the dough sticks where they are perforated. 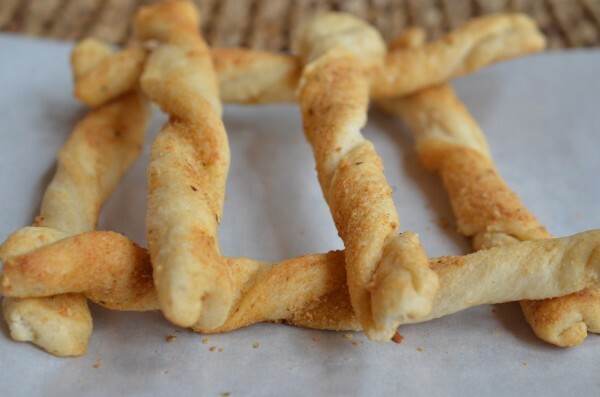 Working quickly, stretch each dough stick out to about 10 inches then twist it into a spiral. Space out the sticks on the sheet so that they don't touch. Bake them until golden brown, about 15 minutes. Cook them on a rack and serve.